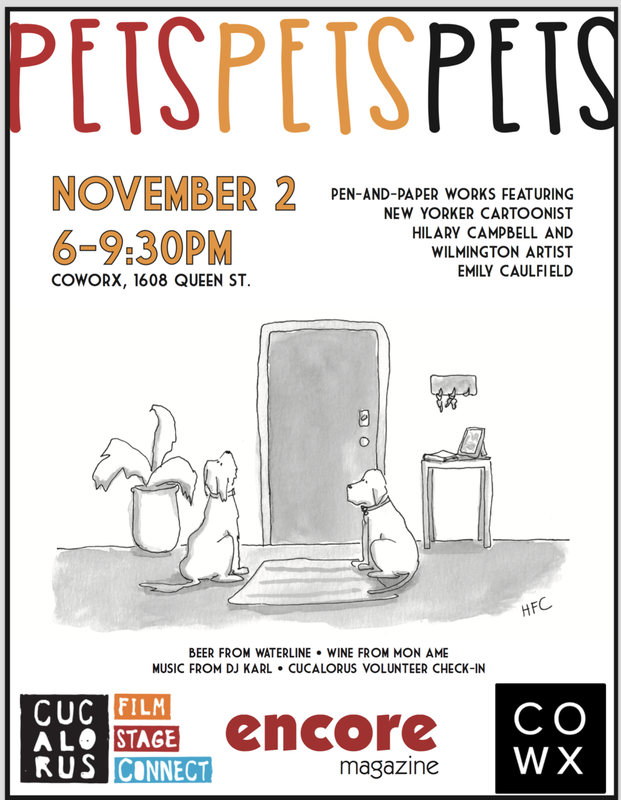 PETS opens this weekend at COWORX in Wilmington, North Carolina in conjunction with the Cucalorus Film Festival where I designed this year’s poster in addition to animating some pieces for the festival. See my work as well as Emily Caulfield’s starting Friday night at 6 PM! I unfortunately will not be in attendance but I will be at the film festival which runs from November 8-13th.